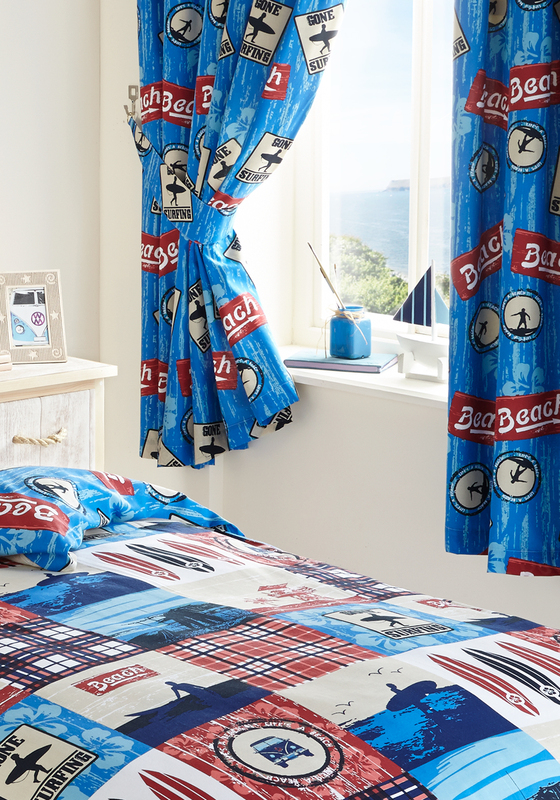 Contemporary curtains with an authentic beach vibe from the Kids’ Club Surf’s Up Collection. 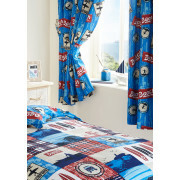 Surfing motifs and beach views are printed on easy care cotton blend fabric. Lined and supplied with tiebacks. Matching items are available separately.